“Cultural discourse” must be the central strategy for Beijing to become a world class cultural city of the future. 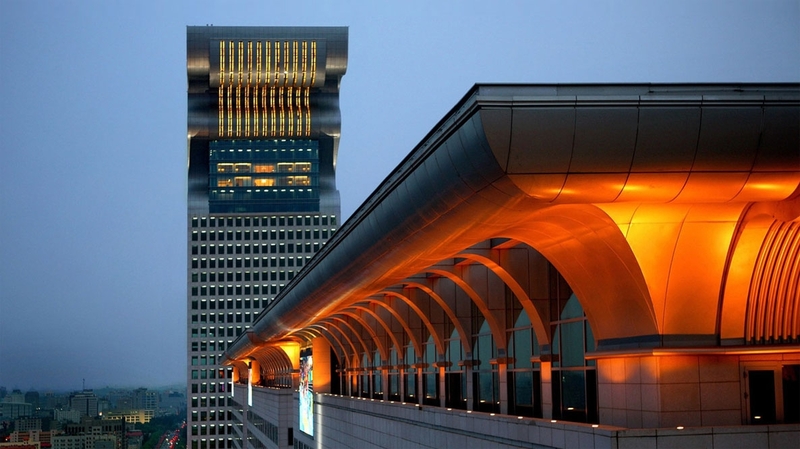 How to initiate a discourse between its cultural subjectivity and other cultures in, and to enhance the self-evident nature of its culture and its powerful affinity, and radiate over a long period of diffusion and fusion will be the core issues of Beijing’s city cultural development. 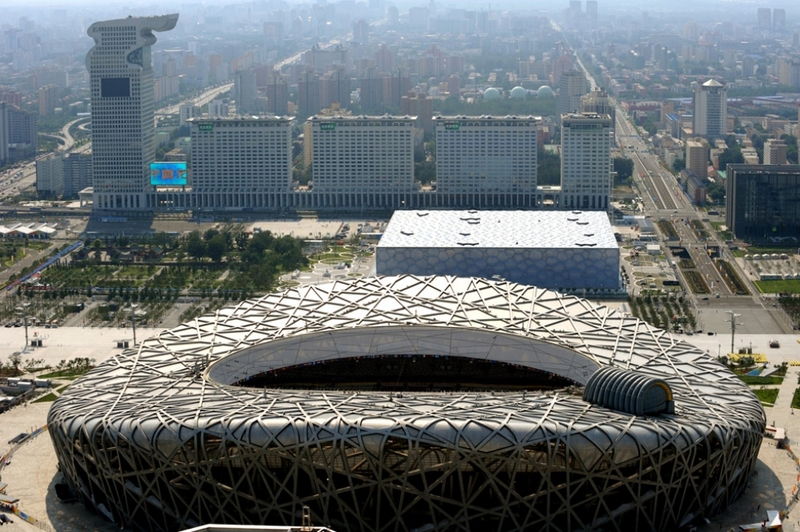 The Beijing 2008 Olympic Games and the city’s growth north along the city’s central axis for building the sports facilities of the Olympic Games form the rendezvous of time and space, forming a nexus of time-space for the future development of Beijing. 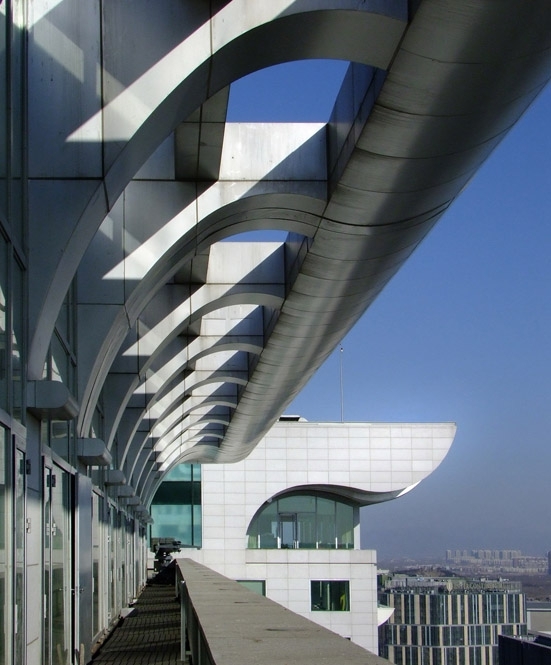 On both sides of the central axis of Beijing, the Bird’s Nest and Water Cube suggest “Bringing the World to China” along with the Pangu Plaza philosophy of “Bringing China to the World” together form a cultural discourse offering an important reference point and opportunity for China to find its own architectural language. Culture is a nation-specific system for describing everything in the universe and is presented in a specific expressional system. 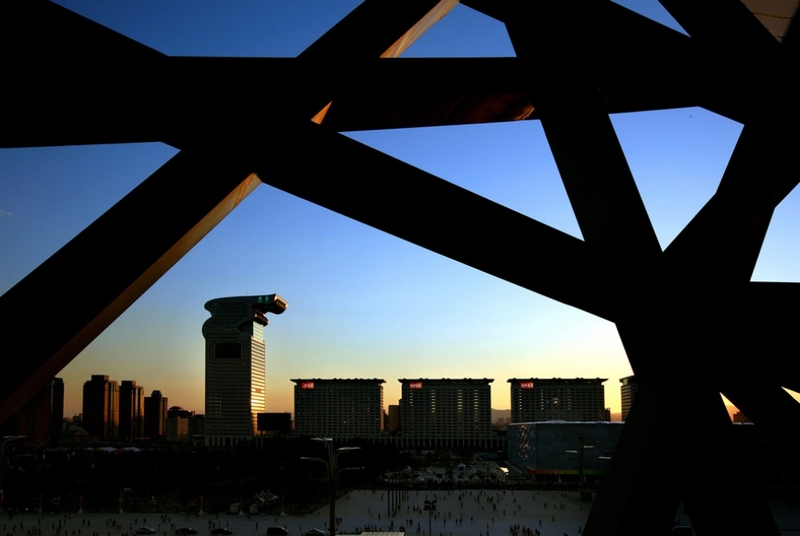 As different cultures have different forms of expression, the different architectural concepts of the Bird’s Nest and Water Cube and Pangu Plaza on both sides of the central axis of Beijing manifest a thought-provoking cultural discourse. Light is the basis of Being in Western culture. In architecture, it evolved into the precise pairing of physical space expressing a unit with detailed texture. Therefore, being a light container is the architectural concept of both the Bird’s Nest and the Water Cube, where the space is expressed in the light gradation. In Chinese culture, “Qi” is a word that describes the system of existence in every living thing. In architecture, this concept has naturally evolved into a creative concept of the unity of heaven, earth and man, the highest state of being. In Western culture, a building conveys the architect’s personal precepts. 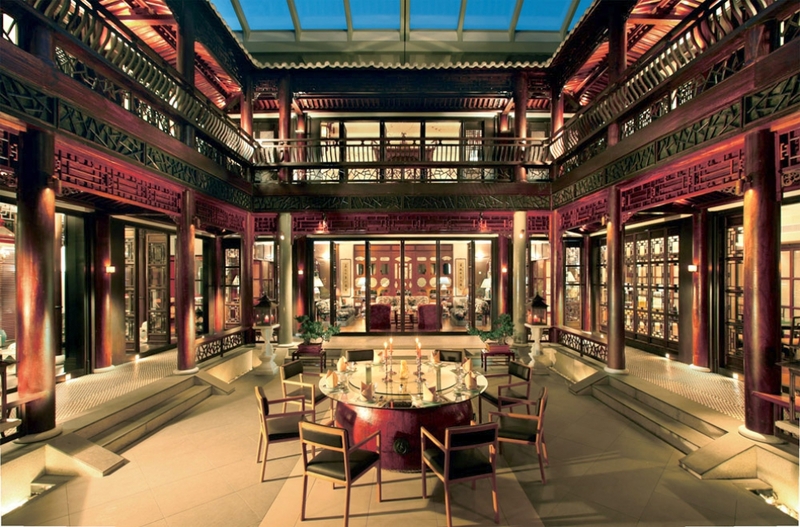 In Oriental culture, a building is a unit that conveys creative concepts through form that manifest the perfect combination of heaven, earth and man. 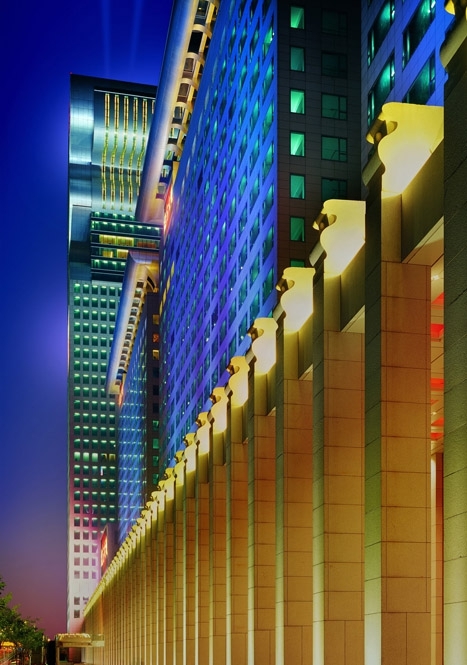 Such an expression is fully displayed in the traditional city structure planning of Beijing. 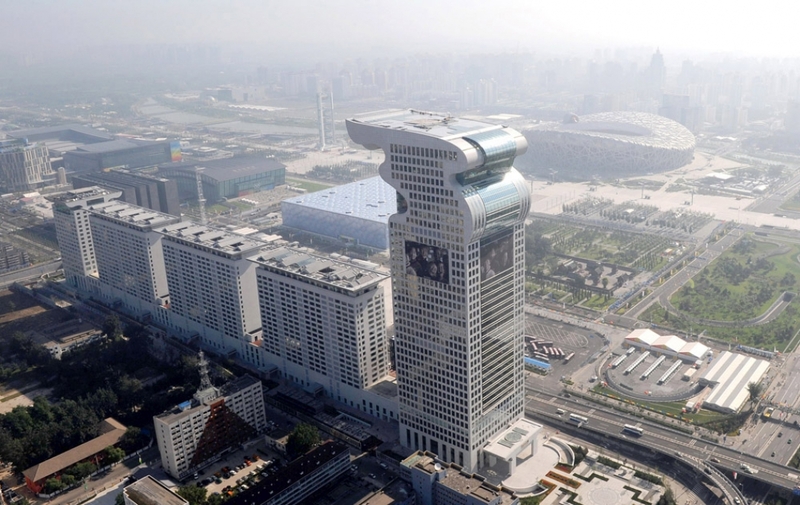 The Pangu Plaza combines 5 independent buildings into one entity through the stereotypic element of the dragon and expresses the lyric Qi and vivacity in Chinese culture. Also, by disregarding the expression of individuals, the plaza has turned to tensile esthetics which combines form and quality. The magnificent freehand expression of the dragon form and 4-in-1 complex are symbols for the fusion with heaven; the long and gigantic corridor in the form of a Dragon symbolizes fusion with earth; and people residing within. Taken together, these elements of heaven, earth and man, shape an information field presenting architectural esthetics unique to Oriental culture. Precise expression is a natural trend of the human civilization. The Western civilization’s intensive studies “materials” display a powerful control over materials, and have threatened the ecology of world civilizations and the Earth itself. In the 21st century, the development of human civilization should turn from the pursuit of expressing precision of form to expressing precision of Being. 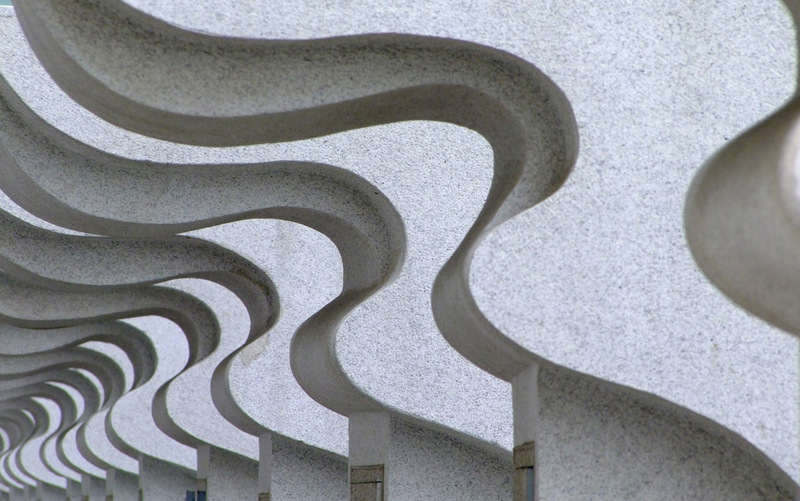 The ultimate concern of architecture should be the pursuit of an ideal world for human existence, i.e. a reduction of the three elements heaven, earth and man into an architectural language. Instead of the accurate application of materials, the operation of human existence should be maintained in the spatial design of forms. his is the where the essential, deep structure of Chinese culture resides, wherein lies the cultural intelligence that modern China can contribute to the world. If China wants to be a future world center, a radical re-assessment of Western civilization is key. And with a reductive contemplation of its own culture, overcome difficulties in reality, and inform the clear spirit inherent in all human culture, to engage in the construction of a world Chinese culture.